IMMEDIATE OPPORTUNITIES – JOIN OUR TEAM! Possess a valid Commercial Driver License. Meet all Federal Motor Carrier guidelines for Interstate operations. No serious or disqualifying traffic violations within the last 3 years. A minimum of 2-years verifiable experience in the operation of tractor/trailer equipment. Operate from our Fort Atkinson, Wisconsin terminal. Performing multiple pickup and deliveries of various types of traffic at our customer locations. Loading and unloading shipments; some heavy lifting is required. Act as a driver & salesperson with our customers. 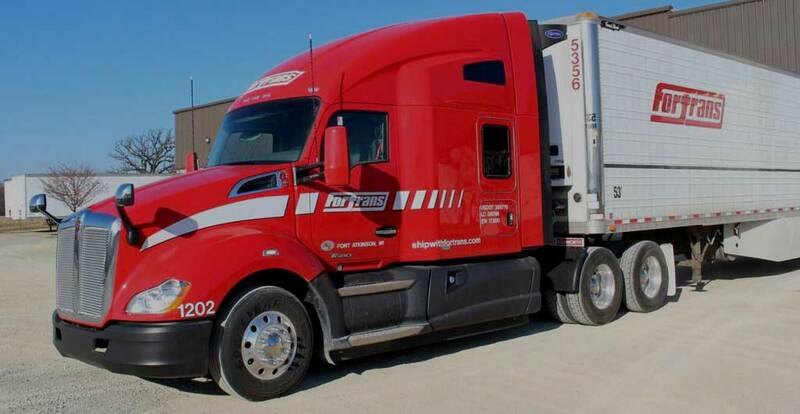 Interested in Driving with Fortrans? Fortrans, Inc. is an Equal Opportunity Employer. If you have any questions, contact us.